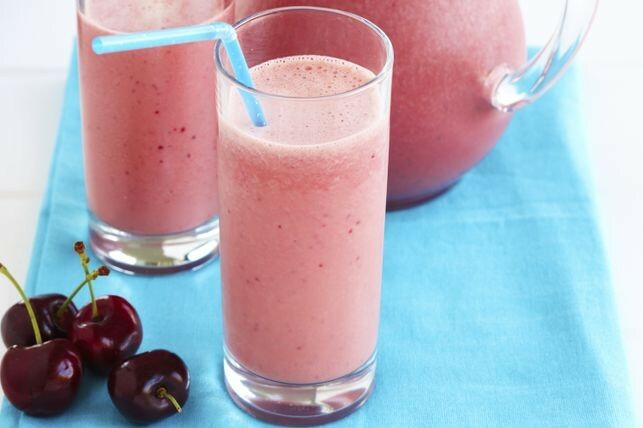 Step 1 Place half the cherries, yoghurt and juice into a blender with 4 ice cubes and blend until smooth. Pour into glasses or serving jug and repeat with remaining ingredients. This get-up-and-go smoothie blends cherries, vanilla and orange juice for a great morning start.